At Eurosatory 2018 from 11–15 June in Paris, Thales will launch the first comprehensive private cloud infrastructure for armed forces. The cloud solutions in use today for civil applications are not appropriate for deployed forces. They require unlimited bandwidth, which does not exist out in the field. However, the Nexium Defence Cloud is designed to meet the specific needs of armed forces operating in constrained environments with stringent security requirements. Thales' Defence Cloud is a sovereign solution designed for constrained environments, enabling deployed forces to conduct their missions in total autonomy in the theatre of operations. It is a complete solution including secure, end-to-end hosting of data and applications. Users ranging from commanders in the home country to units deployed in theatres of operation can access data in complete privacy in a dedicated environment that takes full benefit of Thales’s cybersecurity expertise. An extensive range of configurations is possible to accommodate the requirements of very high-capacity, readily expandable infrastructure networks for HQ all the way down to an all-in-one box that transforms a Forward Operating Base into new cloud nodes in a matter of hours. The ability to interconnect systems and devices quickly and easily within ad-hoc command structures and organisations boosts mission effectiveness with no trade-off in security. Equipment and applications can be deployed, configured and updated remotely so that the armed forces can focus on their core missions. 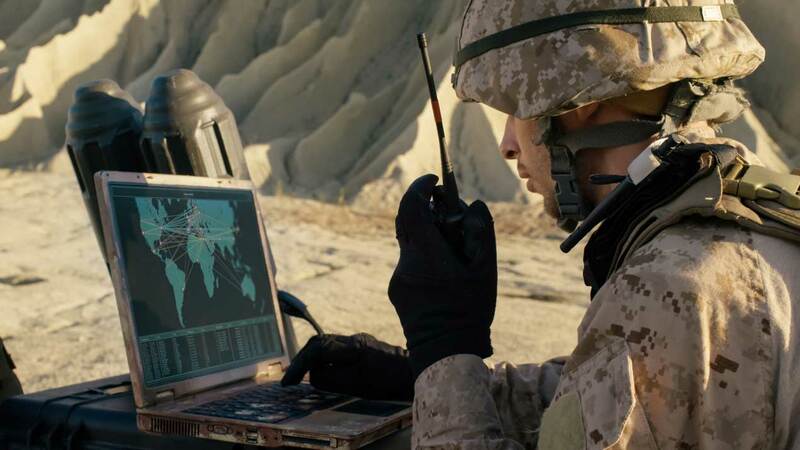 “With Nexium Defence Cloud, Thales is expanding the armed forces’ arsenal with a new digital power that allows them to make decisions quickly and efficiently in real time at each decisive moment,” says Marc Darmon, executive vice president, Secure Information and Communications Systems.